Jon McLaughlin — Don't Mess With My Girl — Absorb. "DON'T MESS WITH MY GIRL"
We had just completed photo, design, and creative direction work for Jon McLaughlin's fantastic new album LIKE US when he asked if we'd make the music video for his single "Don't Mess With My Girl." 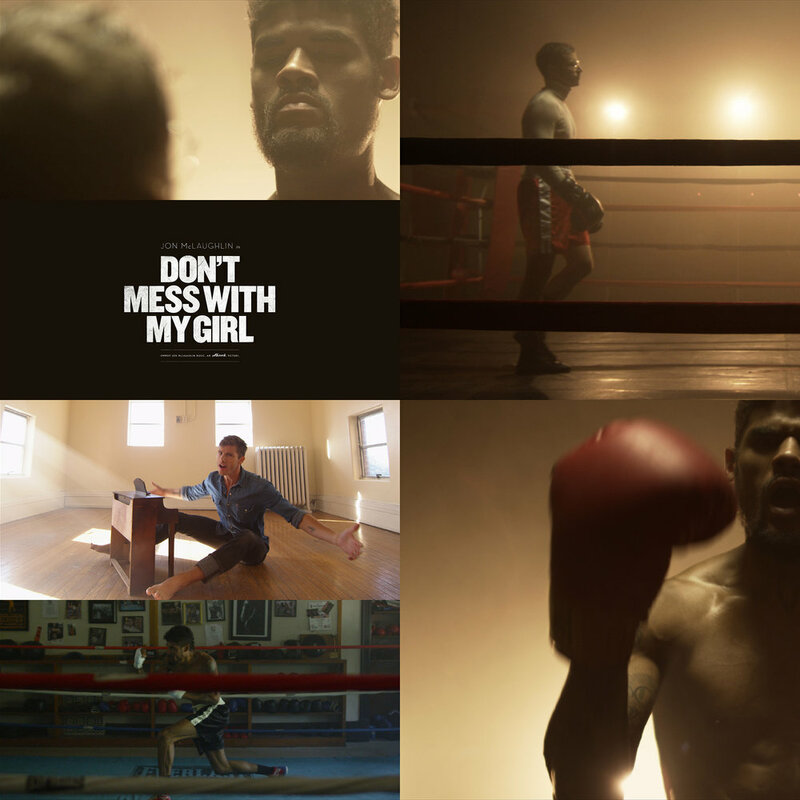 We loved the song, and built a treatment set in a classic boxing environment where Jon would have a chance encounter with a fighter who would ultimately become his arch nemesis. This shoot was a blast, and we love the vid. Also, it turns out that in addition to being an unbelievable musical artist, Jon is a really funny actor, too. Teaser clips of the video premiered on TV's Entertainment Tonight in late 2015, and the full video received it's online premiere via Huffington Post and VEVO in early 2016. The vid has received more than 100k views so far across YouTube, VEVO, and Facebook, and won a 2016 Addy Award for Best Cinematography. Check the video out above, and go get Jon's new album LIKE US, available everywhere now. LIGHTING DESIGN OWEN THOMAS & JARED SPARKMAN. H&M DANELLE FRENCH & SUMMER COX. PRODUCTION ASSISTANT TRACY REDMAN & RACHEL SCARPELLI. TITLE TYPOGRAPHY BY SAM KAUFMAN. FILMED SEPTEMBER 22, 2015 IN INDIANAPOLIS, IN ON THE RED EPIC.